I feel like this review/retrospective could be a little premature. Heavy Rain is a noir thriller featuring several branches for the narrative to wind down. Just playing it once perhaps isn’t enough to really experience the game. Despite that, I’m gonna have a go at this anyway. 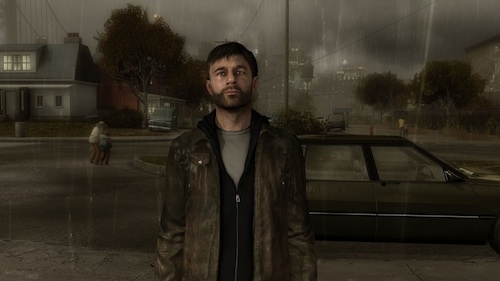 Heavy Rain is set in Philadelphia in 2011 and follows the path of four different characters during a period of about one week when their lives are affected and intertwined by the actions of a serial killer known as “The Origami Killer”. Players use on text contextual prompts to interact with the world around them and at various points in their game, their interactions and their choices affect the narrative so that, in theory, no two playthroughs are the same. You can suffer setbacks such as missing clues, vital evidence or your characters can even die. It’s an interesting choice to make when you can make it to the end of the game and yet, not find the story to be fully complete. There really are a multitude of endings. I came to Heavy Rain knowing ABSOLUTELY nothing about it. I had no idea what to expect upon putting the disc in the tray just over a week ago. I found Heavy Rain to be surprisingly engaging through three of it’s four main characters. As well as putting you through intense situations and combat, the game also allowed you to partake the minutiae of these characters. Little things like rocking a baby to sleep or play fighting with your kid are given focus and allowed you to make something of an emotional connection with the character you’re playing as…sure, you can look at them as something that’s done to fill time, but if you allow yourself, you can be brought in to the world of Heavy Rain. The world of Heavy Rain is quite clearly inspired by films such as Se7en. A pretty miserable urban landscape where even something as joyful as a children’s park seems to have a sinister-ness about it and the humans that populate it are long faced and their skin looks like they’ve had crap smeared across them. I was a little sceptical of Heavy Rain’s tone going into this. The intro credits roll on top of various close ups of random pedestrians. It all seemed on the nose or like the director (David Gage) was trying too hard to make me care. It got more subtle as the game went on but maybe I was distracted by the characters to care. The characters for the most part were well rounded and had some depth to them. Of the four characters, I found three of them interesting. Firstly, there is Ethan. A man crippled by a past tragedy who finds himself the victim of the Origami Killer’s sadistic game. Then there is Norman, the young FBI agent brought in to catch the Origami Killer. He is smart and resourceful but hides a secret vice from his co-workers (or doesn’t, I suppose that’s down to the choice you make at one point in the game). Scott Shelby is a private detective who has been hired by the families of the Origami Killer’s victims. He’s a lonesome ex cop who finds companionship in a prostitute as he tracks down the Killer. Finally, there is Madison who…doesn’t really do that much. Admittedly, Madison died during my run through of Heavy Rain (Confession: I messed up a contextual move in one of the chapters. I blame my PS3 controller!!!). But up until that point, there isn’t really much to Madison. She just plays nurse to Ethan at various points and doesn’t have much agency in the game. Each chapter in the game is devoted to a different character but I swear at least twice in the game, what begins as a Madison chapter is swiftly switched to an Ethan chapter and Madison is swept off scene. At the very end of the game, I found out she was a journalist. I don’t recall that being shared while she was alive. It’s a real shame and it’s kind of weird how the three men in the game are pretty three dimensional but Madison just isn’t. She’s just…there. As already alluded to, the movement and how you interact with the world of Heavy Rain are certainly not the norm in video games. Walking involves holding down R2 and it’s clunky and can be a bit finicky at times. Meanwhile the heavy action scenes in Heavy Rain are handled through Quick Time Events (QTE). I hate QTE in games. I think it’s lazy and just downright annoying. There’s very little skill involved but did Heavy Rain change my opinion in any way…? No. Not quite. 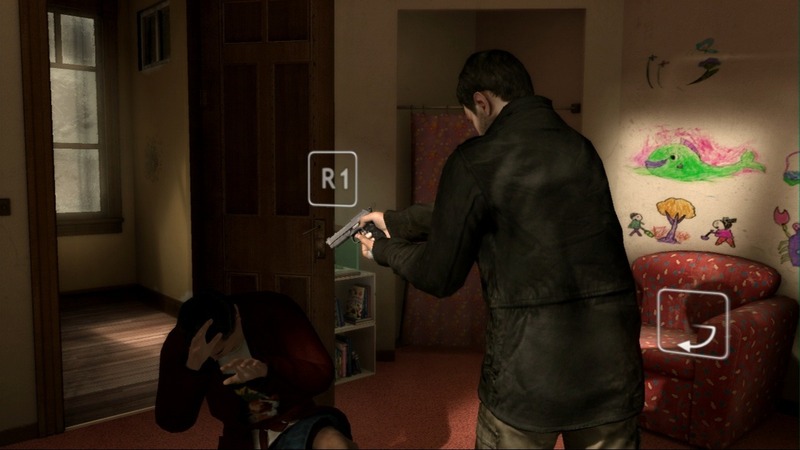 Heavy Rain supports the use of the PS3 motion controller and some limited motion control through the SIXAXIS controller (Hah, remember when that was a thing?). QTE in Heavy Rain makes use of presses of the buttons, movements of the analogue sticks and motion in the SIXAXIS controller. The button presses and analogue sticks sucked but there was something exciting about using the SIXAXIS controller. Shaking it left and right to push through a crowd of people while in a foot chase was exciting and driving down a motorway against oncoming traffic by twisting the controller like a steering wheel was thrilling and almost fun! Despite the numerous narrative possibilities in Heavy Rain, I did have issues with our closed the game could sometimes be. Sometimes, the choices you make are black and white rather than various shades of grey. I can understand the developer wanting to force you into making the hard choices. But there are times when you’re almost forced into making the worst possible choice. For example, at one point, playing as Norman the FBI agent; I found myself pointing my gun at a suspicious person who was holding a gun to my partner. The game forced you to try and talk the suspicious person out of it or just shoot the perp. I tried to be diplomatic but then it got to the point that the guy was RIGHT ON THE EDGE of shooting and so I chose to shoot. The problem was, I was expecting Norman to put the guy down with an incapacitating shot to the shoulder or something. But nope. Norman shot the guy right in the head at almost point blank range. It was pretty terrible. These limitations to your choices also extend to your dialogue choices as well. Various lines of inquest or response to questions are represented by single word choices. It reminded me of when I first played LA Noire and all dialogue choices were condensed down to just three choices. The options were too vague and you are never quite sure what your character is going to say based on your choice. Also, the big twist at the end of the game is rubbish.